As residents of a nation with four times the population of the United States but just a little over half as many ATMs, bank accountholders in India are accustomed to long queues at cash machines. 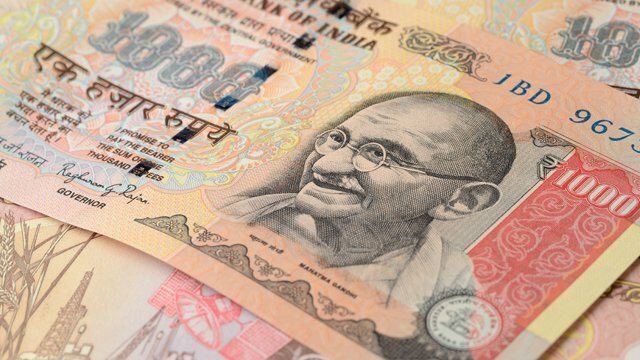 Still, their patience has been sorely tested in the 10 days since the Indian government announced that existing rupee notes in 500 ($7.36) and 1,000 ($14.72) denominations — accounting for 86 percent of the nation’s currency — would no longer be accepted as legal tender. Within hours, virtually all of the nation’s 220,000 cash machines were emptied of 50 and 100 rupee notes, except a few in rural areas where residents mostly didn’t know how to operate them. Cash-in-transit employees worked around the clock in a vain effort to keep cash machines up and running. ATM deployers worked equally long hours recalibrating ATM cassettes to dispense the new 500 and 2,000 rupee note sizes, a job that might take up to a month to complete. NCR Corp., which owns a reported 47 percent share of the Indian ATM market, said last week that its technicians were working overtime to ensure “minimum inconvenience” to the public. In the meantime, long lines formed at banks, where citizens were allowed to exchange a daily limit of 4,000 in old rupee bills for new 500 and 2,000 rupee notes. Local media ran stories about housewives, farmers and brides-to-be committing suicide in the mistaken belief that their cash savings had become worthless overnight. One particularly sad (and, it must be noted, disputed) account reported an infant born prematurely at home was turned away from the hospital and subsequently died because her parents tried to pay for urgently needed care with invalid 500 rupee notes. Such stories have stoked the political opposition, which has harshly criticized the sudden demonetization. Among other things, they point out that the actions of Prime Minister Narenda Modi have been especially hard on average Indians who do not have the luxury of charging everyday purchases to a debit or credit card. Speaking of luxury, Bloomberg reported Rolex watches were snapped up at an extraordinary rate in the few hours between the demonetization announcement on Tuesday evening and the midnight deadline. Gold also sold at warp speed, as “black money” — mostly a term for untaxed wealth and criminal gains, but also for counterfeit bills and terrorist funding — was converted into luxury goods. At the same time, the flow of more ordinary consumables stuttered to a stop as an estimated 4.5 million transport trucks were abandoned along highways after their drivers ran out of cash for truck maintenance, tolls and food. India’s defense aircraft have been enlisted to transport freshly minted currency from printers across India to the nation’s banks. There have been reports of the more positive variety, as well. On the outgoing ledger, bank customers withdrew fifty billion rupees ($736 million) at teller counters and ATMs, the ministry said, and banks have been advised to increase the exchange limit at teller counters from 4,000 rupees to 4,500 rupees. The ministry also has raised the cash withdrawal limit at ATMs from 2,000 rupees to 2,500 rupees per day in recalibrated ATMs. Those not yet recalibrated will continue to dispense 50 and 100 rupee notes until they are recalibrated, the press release said. It was not clear whether the withdrawal limit was to be raised at these machines. Merchants operating 230,000 of the 310,000 POS terminals deployed by the State Bank of India have been instructed to provide cash out to customers upon request in the amount of 1,000 rupees per day in urban areas and 2,000 rupees in semi-urban and rural areas. Approximately 2,500 fuel pumps operated by state-run oil companies have also become a source for cash out in the amount of 2,000 rupees per day. Mobile banking vans have been dispatched to under served rural areas to provide necessary currency exchange services, and have been instructed facilitate opening of new bank accounts as a part of government’s financial inclusion program. Banks also have been instructed to provide mobile bank access at hospitals to ensure emergency access to valid currency for patient care. The finance ministry noted that banks were accommodating disabled and senior citizens in shorter queues at specially designated teller lines, according to the release. And Bloomberg published a picture of a Starbucks employee handing out free coffee to people waiting at an ATM. Tech-savvy Indians are turning to websites and mobile phone apps for crowdsourced updates indicating where cash-seekers can find stocked ATMs. Mostly, Indians seem to be responding to the sudden cash crisis with the patience and goodwill of people long accustomed to queuing for service in a nation whose banking infrastructure is scrambling to catch up with its sprinting economy. Indeed, some Indians have found the last 10 days’ events to be a source of pride.